Pre-school animated comedy series looking to make licensing move after success on-screen. 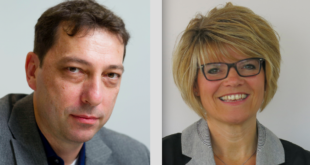 The team behind comedy pre-school animation Boj is heading to Brand Licensing Europe next month, as it looks to build the property in the licensing arena. The series first aired on Cbeebies in May 2014 and follows the adventures of Boj who is a bilby – an endangered big-eared bandicoot from the Australian Outback. Boj has burrowed to Giggly Park with his musical parents Mimi and Pops (voiced by Jason Donovan), where they now live in their quirky underground burrow. Boj is full of creativity and messy fun, with the show aiming to be a celebration of childhood. The character shows everyone how to loosen up, be free thinking, creative, pro-active, resourceful and ultimately how to put aside our differences and all get along. 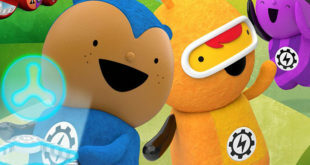 The 52 11-minute episodes are produced by BAFTA award winning UK studio Pesky Productions, in association with Kavaleer (Dublin) and Cloth Cat (Cardiff) for Cbeebies. 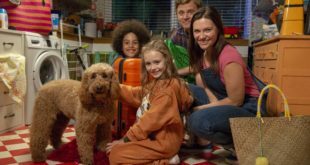 The first series is now airing on ABC Australia and is expected to debut on PBS Sprout in the US in October, while Cbeebies has plans to launch new episodes in the very near future. In addition, Boj and his ‘boj-a-boom’ ideas have also helped the interactive App Books reach number two in the App Store charts. Mobile Boj games are also due soon, while a further high profile roll out in other major territories is on the cards for the remainder of 2014 and into 2015. Voice of Pops, Jason Donovan, commented: "It’s a pleasure to be involved in such a well-crafted project. I’m interested in great characters, great stories, great songs and Boj has all those things and more." David Hodgson, producer and co-creator of Boj, added: "Boj has a unique and exciting bond with its audience, demonstrating a positive combination of having fun, creative thinking and caring for those around you. We can’t wait to outline our plans for Boj as a character brand with licensees at BLE. Let’s get Bojing."